The Stonebridge Tour is a yearly competition between Pro, Champ & Legend Members. Points can be earned from January 1, 2019 through December 31, 2019. Click here for updated standings! 1st Place - Wins a Full Membership for 2020. Points have no cash value. Prizes from 2019 Tour Points will be distributed in January 2020; are non-transferrable and may only be redeemed by active members. 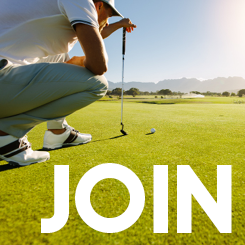 Take advantage of all your member benefits and earn discounts on golf & events. Every 100 points is worth $1. Points can be redeemed towards cart fees, select event fees and yearly membership renewal. *Counts reset at the beginning of each month; can be redeemed a maximum of four (4) times per month.. Referred members must not been a member for the previous 6 months. Details subject to change without notice. All active Pro, Champ & Legend members are eligible for program.